Dr. Angel Valchinov is a teacher, soloist, concertmaster, and chamber musician. Currently performing with orchestras in the U.S. and Europe, Dr. Valchinov is a soloist with wide a ranging repertoire. He is currently concertmaster of several orchestras in the Boston area, including Boston Chamber Orchestra and the Claflin Hill Symphony. 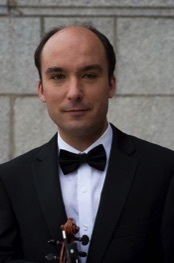 Mr. Valchinov teaches at Illinois Chamber Music Festival and Youth & Muse Music Festival throughout the summer. 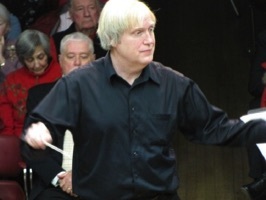 He is also String Faculty at Northern Essex Community College, and has a growing private teaching studio at the Concord Conservatory of Music in West Concord. Bulgarian television has made a documentary about him and he has been featured on a number of television stations across the U.S. His teachers include Aaron Rosand, Naoko Tanaka (The Juilliard School), and Yuri Mazurkevitch (long-time pupil of David Oistrakh). A third generation musician, Dr. Valchinov regularly performs with his family and his wife, violist and pianist Dr. Chen Lin. In 2009 he performed the Dvorak Concerto at Jordan Hall in Boston, with the Boston Civic Symphony, earning praise from the conductor, “His Dvorak Concerto is incredibly beautiful, one of a kind”. As with most orchestras the overall responsibility for managing CCO rests with a governing board. Since CCO is a principally volunteer ensemble, its governing board is composed entirely of performing members who fully understand the wishes and concerns of the membership at large. Rather than a single Music Director, CCO has a Music Committee composed of seven playing members including the conductor and concertmaster which reviews and approves all concert programming. Having the selection of programming shared in this way strengthens the membership bond throughout the orchestra and helps to insure performances with wide audience appeal.